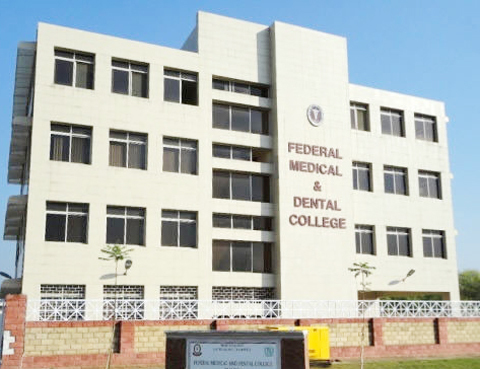 Federal Medical & Dental College Islamabad is a public sector health education institution located in the capital territory of Pakistan. The institution was started functionality in the year 2012. The first batch of the institution was enrolled in 2012. It is the only public sector healthcare institution in Islamabad. The institute offers medical healthcare degree. FMDC Islamabad has many affiliations and recognition. The degree of the institute is affiliated with Quaid e Azam University Islamabad. The institution is recognized by Pakistan Medicals and Dental Council commonly known as PMDC, which is a regulatory authority for medicine and dentistry students in Pakistan. FMDC offers admission through NTS test. Application forms and online deposit slip available at the official website of NTS (www.nts.org.pk). The candidates are required to send the application form on the prescribed forms along with the NTS copy of online deposit slip to NTS through courier or mail. Applications by hand will not receive at the NTS office. NTS will upload the result of the entry test at their website. There are 50 annual enrollments and the quota of all provinces is available as per government criteria. Sample papers are also available at the website of the NTS but the samples will not show the actual number of questions in the entry test. For admission, the candidate must be passed the higher secondary school certificate with at least 60% marks. The HSSC must be in the Pre-Medical group. International or foreign students are also eligible for admission. They are required to provide the equivalent certificate. The equivalent certificate will be issued by the authority of Inter Board Chairman Committee Islamabad. MBBS classes may be started from NOV-DEC and the classes of BDS may start in DEC or JAN every year. Thanks for visiting our site which is compatible of Universities Admissions and details. 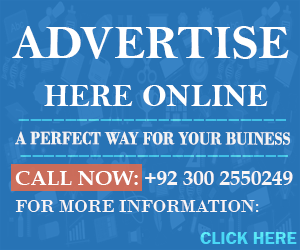 We provide the best information about FM&DC Islamabad Admission 2018. ASLAM O ALIKUM RESPECTED SIR I HEARD THAT THIS COLLEGE IS BLACK LISTED THIS YEAR AND WE CANT GET ADMISIONS HERE. IS IT SO? Yes, this college is blacklist by PMDC. But when this college is removed from list then college announced admission for MBBS. When new admission announced then we have updated on the website. sir have there is sets for FATA students or not ? Yes, there is 2 seats reserved for FATA student in Federal Medical and Dental College. SO SIR IT MEANS NOW ADMISIONS ARE NOT OPENED FOR THIS AND WE CANT APPLY HERE NOW? WHAT is the reason behind the BAN of F.M.D.C. Sir FMDC kay past test papers mil saktayy? from where can i get registration form for fmdc???? Currently admission are not announced when admission announced then we have updated on the website. You get admission form from NTS website when admission announced. Sir fmdc ky test 2014 ki expected date kaya hai ??? Wy the college is blacklisted and when it would be opened? This college is blacklisted due to some reason highlight by PMDC. When this college is removed from blacklist then college offered admission for MBBS 2015.
sir probable test date kia hai mbbs ki..we are wating .. Currently admissions date are not announced. When admission date announced then we have udpated on the website. It should be expected with in next 2 months if remove from PMDC blacklist. Sir islamabad ma fmdc ka office kahan hy aur wahan sa information lay skta hy kai? Yes, you get admission Information from this office. But this college is affiliated with Quaid-i-Azam University. Address: Federal Medical & Dental College Near NIH, Chak Shahzad, Islamabad, Pakistan. where is adminssion form ? …. can I apply online for test of MBBS & BDS ? Currently admission are not announced for MBBS only. College not offered BDS. When admission announced then you apply online through NTS website. There is total seats 44 reserved for Punjab Students. Secondly when admission announced then we have updated on the website. Currently FMDC admission are not announced. In post these dates for Islamabd Medical College not for Federal Medical & Dental College. Both colleges are different. In post FMDC lasts year dates will be mentioned if you read carefully. Finally, Currently FMDC admission are not announced. When admission announced then we have updated on the website and NTS conduct separate test for FMDC Admissions. Dear, currently this medical college is blacklisted by PMDC. When PMDC issue is resolved then this college allow for admission add. So, Currently there is no expectation of new dates. May be new dates announced in the month of Nov. There is total 9 Seats reserved for Sindh Students in Federal Medical & Dental College. Secondly, Tuition Fee Rs 25,000 per year. When is the test going to be held of fmdc ? And when will the forms b available? Currently, admission date are not announced when admission date announced then we have updated on the website. When the admission date or entry test date will be announced then we have updated on the website. hi sir now i saw this college is no more in the banned list of pmdc kindly inform us when will the registration starts? any news ? Currently, admission date are not announced when admission announced then we have updated on the website. Currently admission are not confirm when announced. Currently, issue is not resolved when issue resolve then college has announced admissions. Dear Sir, Would you please update us the current status of admissions in MBBS and BDS and the respective dates. So many people are waiting for the same. Please also confirm that the admission will start or not. any update of fmdc ??? about test ? admission ? Currently, this college is blacklisted by PMDC. There is total 9 seats reserved for KPK Students. Yes, you will eligible to apply in DOW and FMDC on 3rd attempt. If admission announced for FMDC then we have updated on the website and you will enroll to get admission in FMDC. Currently, FMDC not announced any admission for MBBS. sir!1 is the college removed from the blaclist by PMDC? if yes? then when will the admissions re open!! When admission announced for MBBS in FMDC than we have updated on the website. Yes, these admission date are officially announced by Federal Medical and Dental College. There is total 9 seats reserved for KPK Students. Last year merit of FMDC for KPK Seats is 77.53.
i am in 2nd year can i apply for test? Result awaiting candidates will ineligible to apply for FMDC Admission 2014-15. Only those applicants apply for admission that passed FSc Complete with minimum 60% marks. New Admission announced in NOV/Dec for 2015 Induction. Then, college announced new admission we have updated on the website. Sir please tell me fmdc is still black listed or not ……. Currently, this college is blacklisted and soon it’s issue will be resolved. FMDC is govt or private collage and plz tell the fee structure of FMDC. This medical college is regulate under federal Government. not announced yet but expected to announced in OCTO/NOV. i got 57 marks n fmdc test,,,,overall agrigate is 68,,,,,,any chance n fmdc,,,.,,,and how can i applyyy????? Respected Sir,when Federal Medical And Dental College,Islamabad will announce admissions 2015-16. What is admission criteria ? what is formula for aggregate ? Currently, new admissions is not confirmed when announced. When admission announced than you apply through NTS website. Sir kindly inform me about entery test 2015-2016 , on fb u have posted that entery test for mbbs will held in sep/oct 2015 , how can i apply for this? Through which website the entery test forms are available? FMDC did not give selected topics for entry test. You must prepare complete books for entry test. If you have good concepts regarding each single topic than you easily pas the entry test. AOK!fmdc k admission form me kahen pe bhi jaga nae hai k aap merit quota ki base par ya govt. employee ki base par admission lena chahte hain. kya en dono me aik sath admission leya ja sakta hai?en dono quoton me admission lene ka kya tareka hai? AOK!11 oct. 2015 ko jo test hua hai es ki merit list kab a jae ge .wese aam tor par es ki merit list kab aate hai matlab kitne dino baad. AOK!punjab quota ke total 40 seats hain en me se mbbs ki aur bds ki kitne kitne seats hain? plz tell me when the final list of fmdc test held on 11 oct 2015 will display. aslam o alaikum sir i want apply for mbbs here when will the admission be open?